Michelle joined our firm in 2000. During this time, she has performed attestation work for closely-held businesses, including manufacturers, construction contractors, non profits and professional service organizations. Michelle has a high level of expertise in various tax areas. She assists our closely-held businesses in maximizing their tax savings opportunities through proper planning of their overall business structure and operations. In addition, Michelle regularly works with complex trusts, family limited partnerships, private foundations and other advanced wealth transfer strategies to assure assets are properly passed down to the next generation. During our busiest time of the year, Michelle oversees preparation of sophisticated corporate, partnership, individual and trust returns. 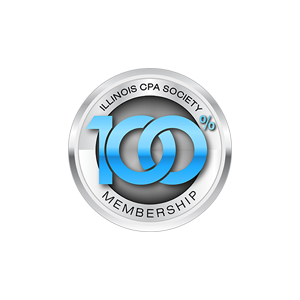 Michelle is a member of the American Institute of Certified Public Accountants and the Illinois CPA Society. Michelle earned a Bachelor of Science in Accountancy degree from DePaul University and a Master of Science in Taxation degree from DePaul University’s Kellstadt Graduate School of Business. She is a licensed CPA in the state of Illinois. Michelle loves spending time with her family and is a passionate sports fan. She enjoys attending her kids' sporting events as well as watching professional sports. She is a die-hard fan of the Bears, Bulls and White Sox. Michelle lives in Mount Prospect with her husband and two daughters.